Juventus are reportedly preparing to land a marquee signing for their midfield in 2019, with three star names said to be on their radar. The Bianconeri have landed seven consecutive Serie A titles prior to this season, and got their campaign off to a winning start last weekend with Cristiano Ronaldo making his debut. The Portuguese superstar will undoubtedly have been brought in not only to help extend their domestic dominance but also to end their wait for glory in the Champions League, and they certainly look strong this year to make an impression. However, the Turin giants are seemingly not content yet as Tuttosport report that the midfield is still set to be addressed with three names being put forward. Adrien Rabiot, Sergej Milinkovic-Savic and Paul Pogba are all said to be in their thoughts. It comes after Claudio Marchisio departed last week which leaves a void in the Juventus midfield. With Rabiot’s contract set to expire next summer, the 23-year-old would undoubtedly be the less expensive option. Nevertheless, both Milinkovic-Savic and Pogba have proven their quality in Serie A, the former with Lazio and the World Cup winner in his previous spell with Juventus, and so perhaps if the opportunity opens up to sign one of them next year, they will be the priority. Pogba sparked speculation over his future with comments made earlier this month after suggesting that he wasn’t entirely happy at Old Trafford, as per The Guardian, and so it remains to be seen whether or not he’ll seek a potential reunion with Juve next summer. 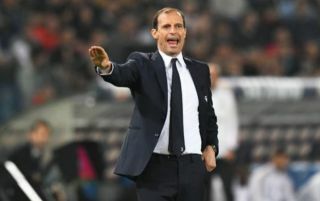 While that remains unclear, what is certain is that Juve are seemingly in a position to continue to move away from the competition in Serie A, while continuing to put the pieces in place to put themselves in a position to compete with the best in Europe too.